Location & Parking: Situated on the South Bank of the River Thames and adjacent to County Hall, Park Plaza County Hall London is a short walk from many of the city’s top attractions, including the Houses of Parliament, Big Ben and Westminster Abbey. We do not provide on-site parking for guests. However, we are pleased to offer a professional valet parking service, offering guaranteed parking spaces at competitive rates. Please contact our third party supplier, Car Spa Logistics for more information or to make a booking. Restaurants: L’Italiano Restaurant serves great value classic Italian dishes in a spacious atrium-style setting, while in Spectrum Bar, clean lines combine with vibrant colours to create a modern vibe. "Thank you once again for making the event so exceptional, everyone commented on how attentive staff where, how good the food was, the venue, the rooms......I could go on. I have booked many of these events and I can honestly say this was the best, I think it was a mix of great venue, location, staff, food etc. I have to say it didn’t matter who I met, reception, cleaners, exec lounge staff and it didn’t matter what time of the day it was I was always met with a smile and a greeting." "“Kitti at the Park Plaza was just fantastic. We had a lot of requirements that kept changing and a very last minute request for a teleconference. 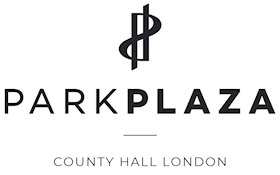 She responded to all of our needs quickly, efficiently and very cheerily - nothing was too much trouble and everything went off without a hitch!”"
"Our meeting at Park Plaza went extremely well. Sandra was fantastic, the room was great, and the luncheon was delicious. You’re still my favorite hotel for London meetings and I hope to schedule another event at Park Plaza in the future." Each of the 399 spacious, contemporary guest rooms and suites features air conditioning, a generous work desk, plasma TV and interactive entertainment system. Studio Rooms have separate sleeping and living spaces, as well as a kitchenette, while Penthouse Apartments include clearly defined bedroom, lounge and dining areas. L’Italiano Restaurant serves great value classic Italian dishes, while in Spectrum Bar, clean lines combine with funky colours to create a modern vibe. The hotel’s fitness centre invites an escape from the rigours of the day with steam, sauna and beauty treatment rooms. Furthermore, enjoy a superb location on London’s South Bank, Park Plaza County Hall affords easy access to Canary Wharf, the City and the capital’s key transport links.